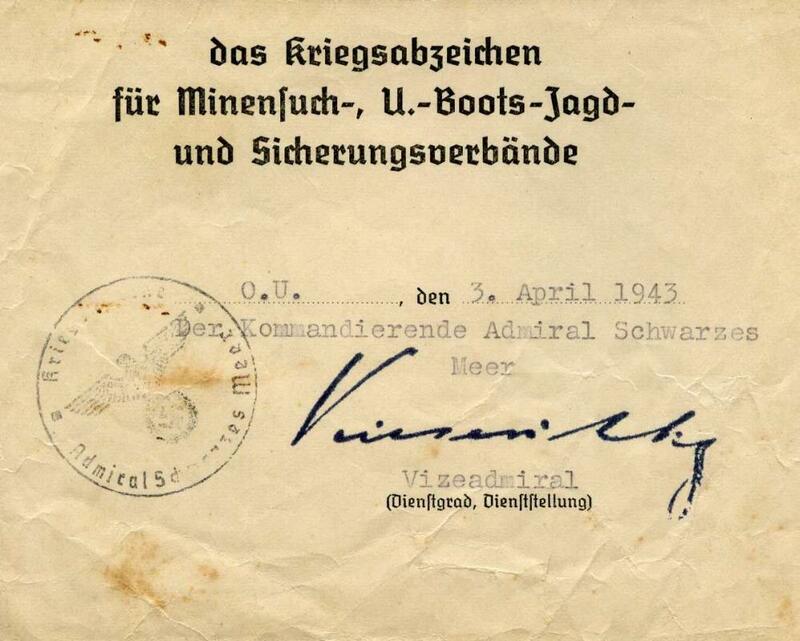 Please post your unknown Second World War Kriegsmarine Signatures here. I have a few Kevin. 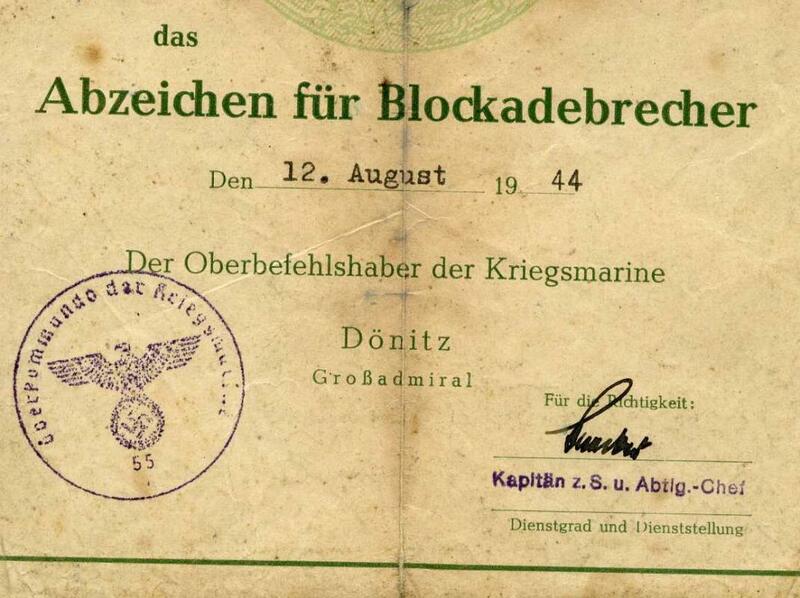 1st unidentified on a Blockade Breaker document. 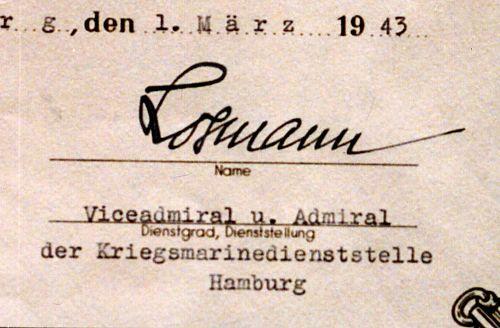 Unknown signature on a Minesweeper document. The second one is Gustav Kieseritzky who held that position from Feb to Nov 1943.
herei is another signature i cannot identify that is pre-war. After digging through my files I've found the third one - it is Hans-Herbert Stobwasser. So,i am not sure how this works? Now that you have identifed the names do you add them to the database or would you like me to add them? Hi Kevin, i have one more document with an unknown (to me) signature. 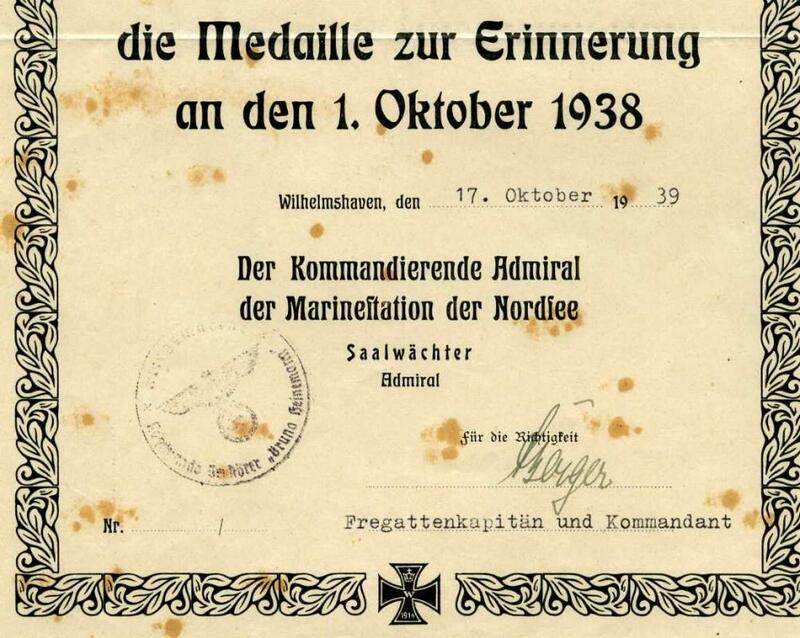 This is a Hilfskreuzer award document for a crewman from the HK Kormoran. The document was issued while he was being held in Murchison POW camp in Australia. 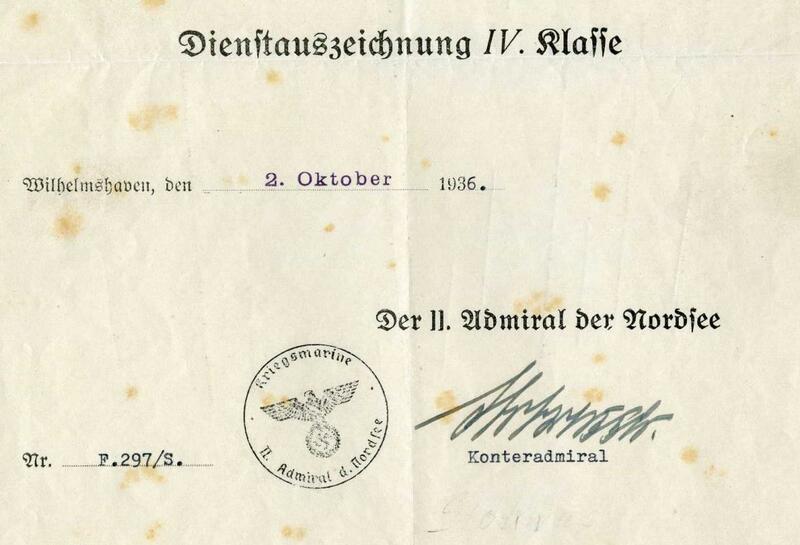 I have seen a few of these "Kormoran" documents and they all bear the same signature. 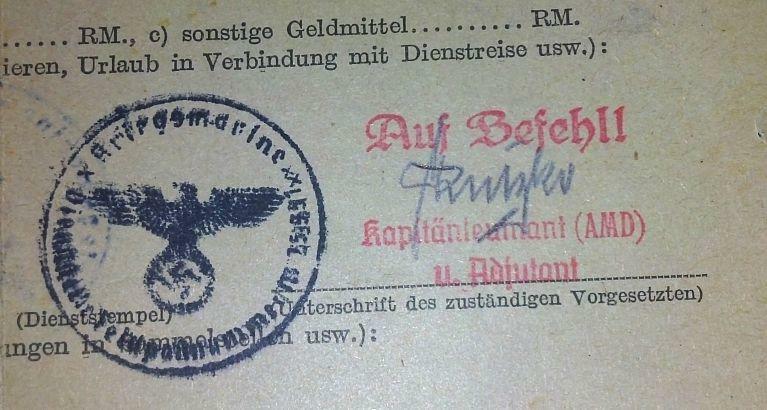 I do not think it is the signature of the Commander of the Kormoran,Theodor Detmers. If you can add them then that will be great. That way you can put as much or as little information as you wish. The signature looks like it says 'Clemens' but without a rank it will be hard to tie it down to a specific person. The signature looks like "Clemens" to me also Kevin. 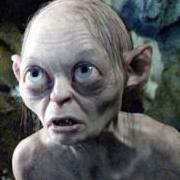 I wonder if this guy is a German official or an Australian Official?? 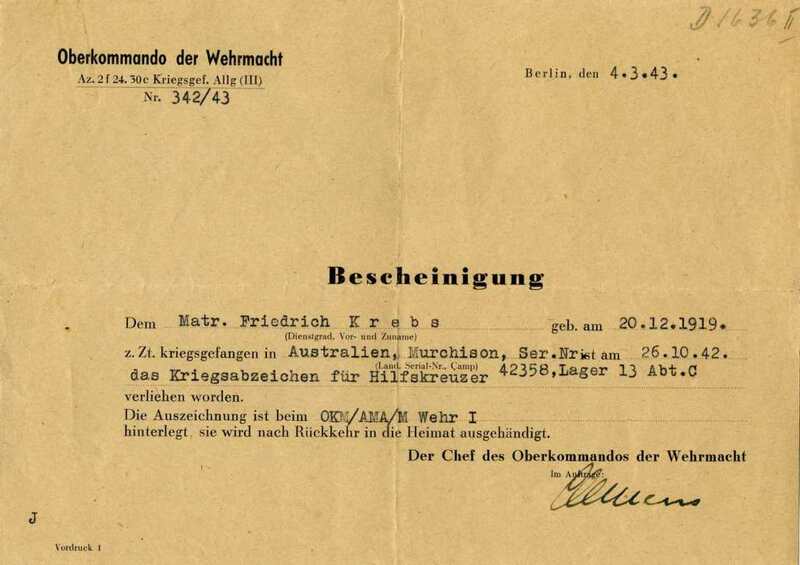 I'd say he was German as the letter is dated in Berlin and by a representative of the 'Chef der OKW'. Group Allg. I:	Treatment of prisoners of war and effects of the prisoner Lt. Col. Krafft of war problem on national policies. the I.R.C., etc., on their visiting trips. Group Alig. III: German prisoners of war in enemy lands and members of the Major Clemens Wehrmacht interned in neutral countries. Group All’g. IV:	Problems of administration of the prisoner of war set-up. Excellent detective work Kevin. Now we have an idea who this "Clemens" guy is. I really apprreciate you taking the time to identify the signatures on these documents Kevin. I do have a few more,i you don't mind. Most of these "unknown signature" documents came with some of the Hilfskreuzer groupings i have,the names on the HK doc's i can identify. 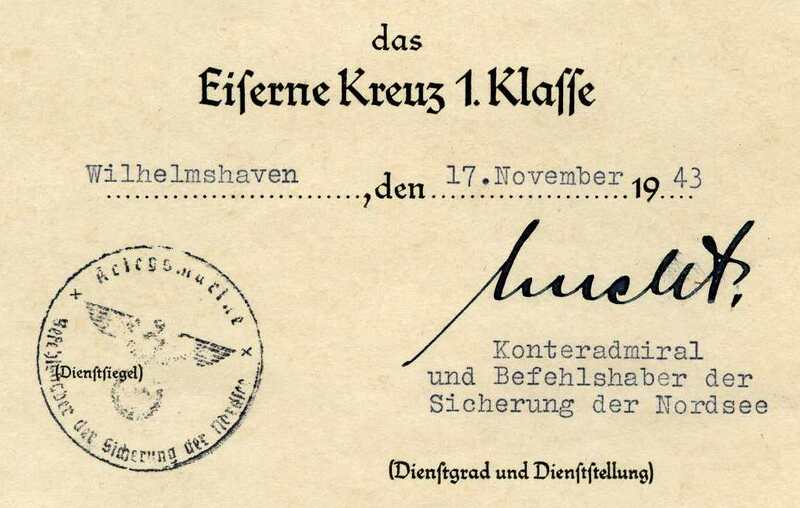 The KvK citation has the stamped signature of Ernst Schirlitz. 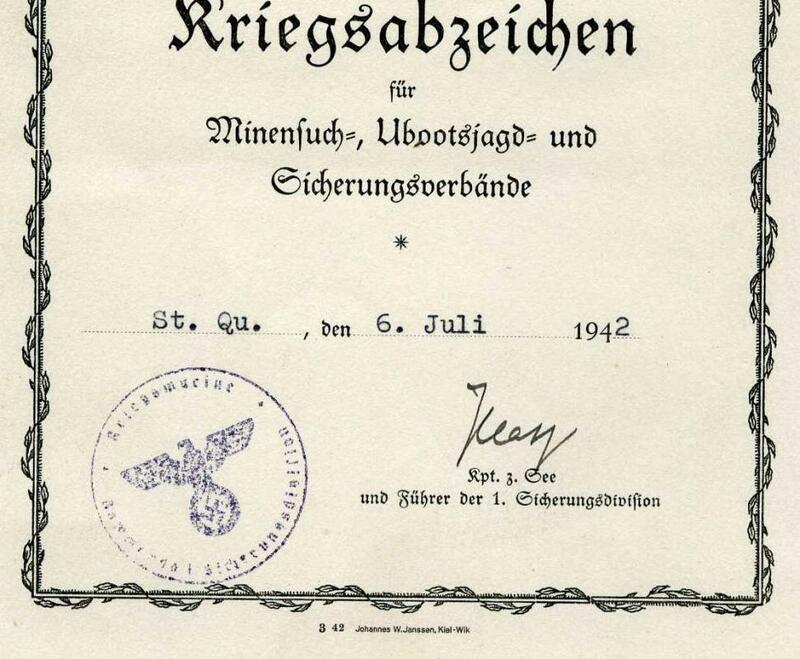 The Sudetenland Medal citation is signed by Fritz Berger who commanded the destroyer Bruno Heinemann from 8th January 1938 to 3rd December 1939. 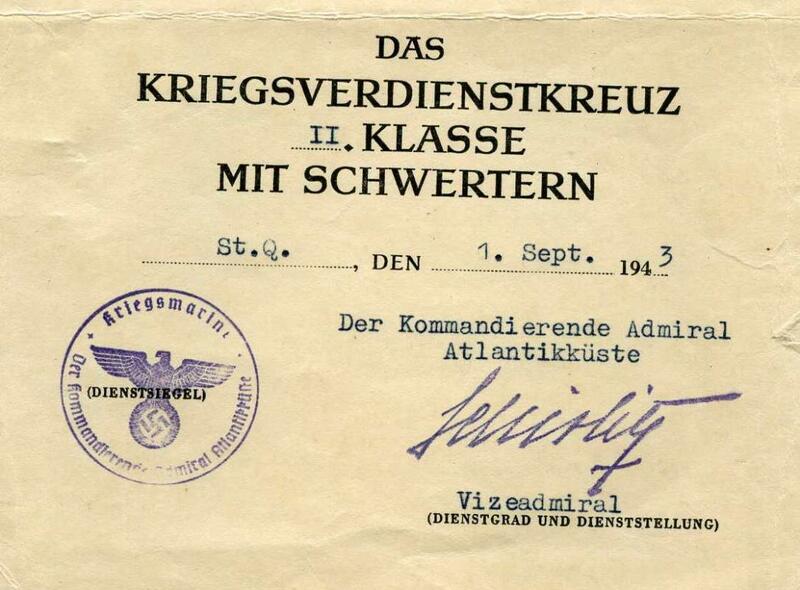 I believe his final rank was Kapitän zur See and he won the RK on 4th August 1940. Thanks again for your help Kevin. I have added all of the signatures that you have identified to the database. Here are the last two,both from a former HK ORION crewman. The EK I is signed by Ernst Lucht (RK & DKiG) while the last one is signed by Joachim Plath. Both ended the war as a Konteradmiral. I will add the signatures to the database. Yep - he held that position from 1st Oct 1942 to 22nd Feb 1945.